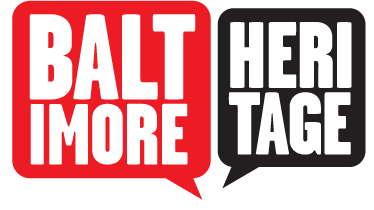 The congregation at Sharp Street Memorial United Methodist Church began in 1787, the first African American Methodist congregation in Baltimore. By 1802, the congregants had purchased their first building on Sharp Street between Lombard and Pratt Streets. An addition in 1811 added space to the church and allowed Rev. Daniel Coker to open a “School for Negroes.” In 1867, leaders from Sharp Street expanded their education mission and with other prominent church leaders around the city established the Centenary Biblical Institute, now Morgan State University. The church moved to its current building on Dolphin and Etting Streets in 1898. A week-long celebration followed the dedication of the $70,000 church. 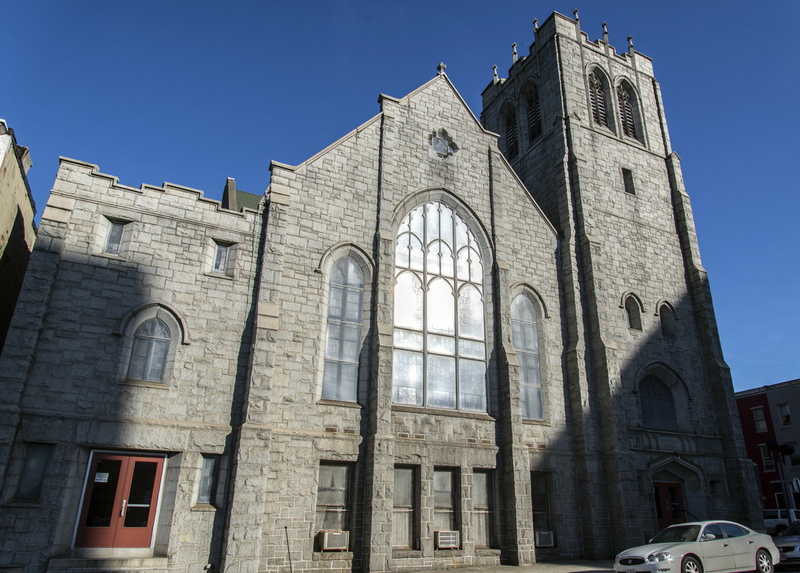 Made of gray granite, the Baltimore Sun reported at the time that the Dolphin Street church stood as one of the “handsomest church[es] for a colored congregation in the state.” In 1921, church leaders added the adjoining Community House to the church. Along with a handsome building, Sharp Street Church has a rich history of civil rights activism. 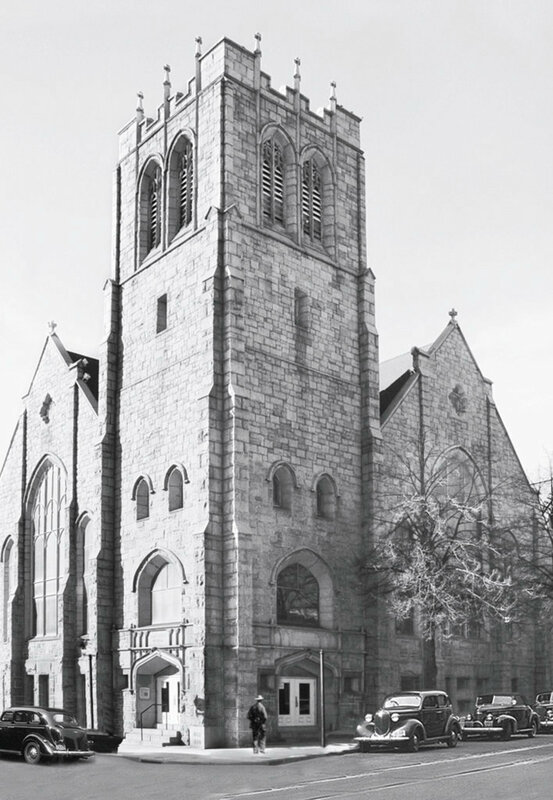 In addition to spearheading efforts to advance education for African Americans in the nineteenth century, the church was spiritual home to civil rights leader Lillie M. Carroll Jackson, president of the Baltimore NAACP from 1935 until 1970 and known as the mother of the civil rights movement. Ms. Jackson started in the church as a child, singing soprano in the choir. As an adult, she delivered fiery speeches in front of the congregation urging African Americans to do something about their rights. At Jackson’s death in 1975, the church held a three hour funeral service where over 1,200 people attended. 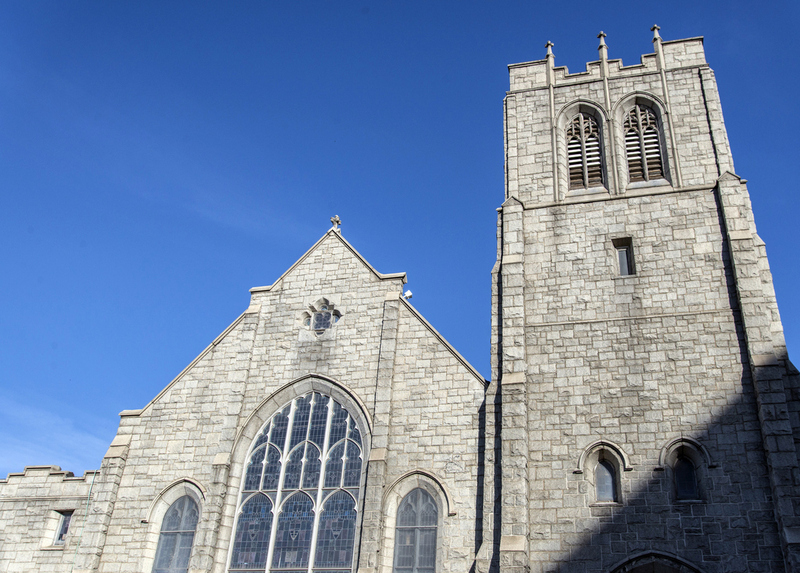 Today the church still serves as a beacon of religious freedom and history throughout the city. 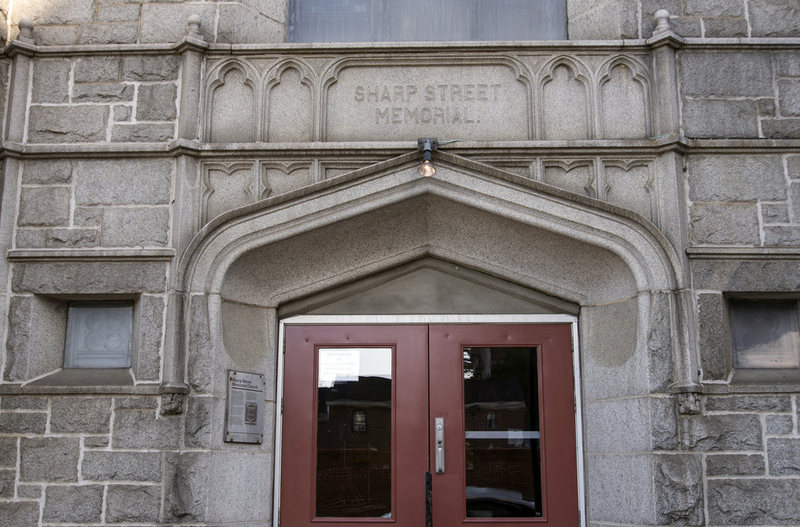 Sierra Hallmen, “Sharp Street Memorial United Methodist Church,” Explore Baltimore Heritage, accessed April 19, 2019, https://explore.baltimoreheritage.org/items/show/520. Published on Aug 20, 2015. Last updated on Nov 27, 2018.